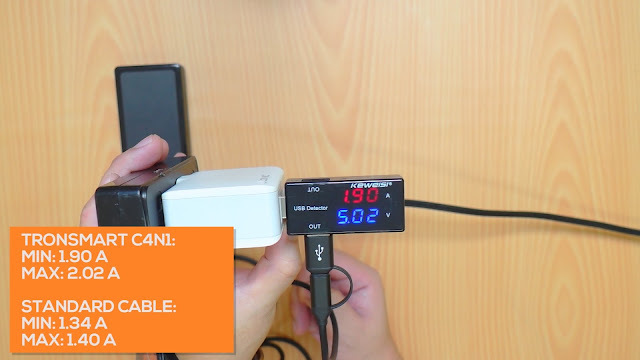 If you have a bunch of devices that use USB Type C and micro USB ports and you want to have a single cable to rule them all then you came to the right place. Today we are taking a look at the Tronsmart C4N1 4 in 1 USB Type C Cable. This is primarily a USB Type C to USB Type C cable but it also has an adapter for USB Type A and micro USB to expand its compatibility with the majority of devices out there. 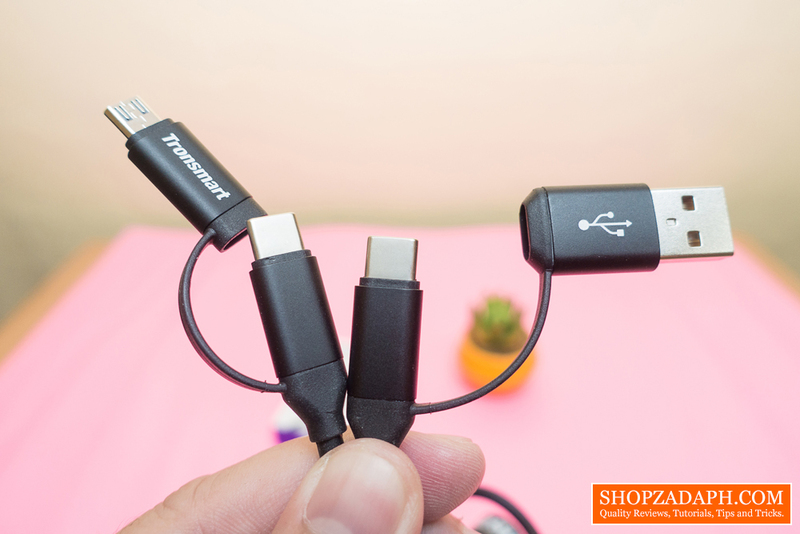 4-in-1 design gives you four different cable configurations. For Samsung Galaxy S8/S8+, LG G6, Huawei P10, Google Pixel/Pixel XL & other USB Type-C compatible devices. 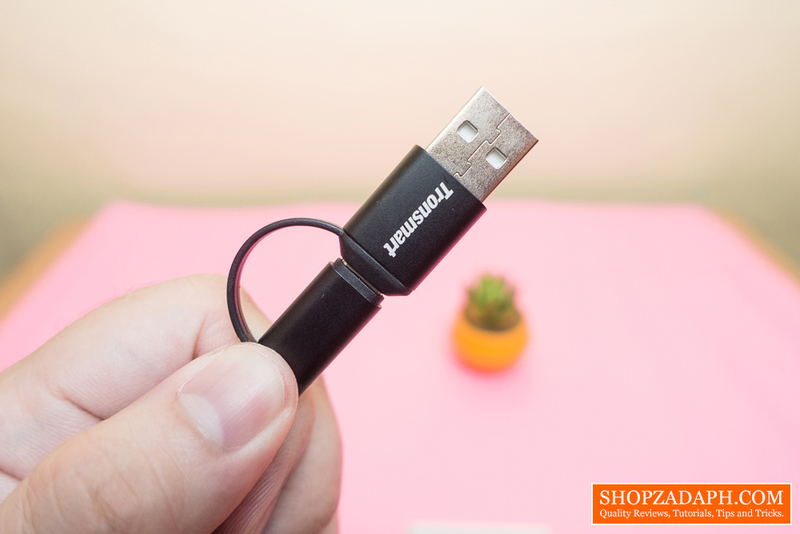 Compatible with all Micro USB supported devices. Compatible with any USB Type-C charger to all Micro USB supported devices. 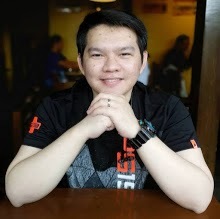 Data transfer speeds up to 480Mbps. All connectors are optimized to charge at maximum speed on all your devices. In terms of design, there's not much to it. 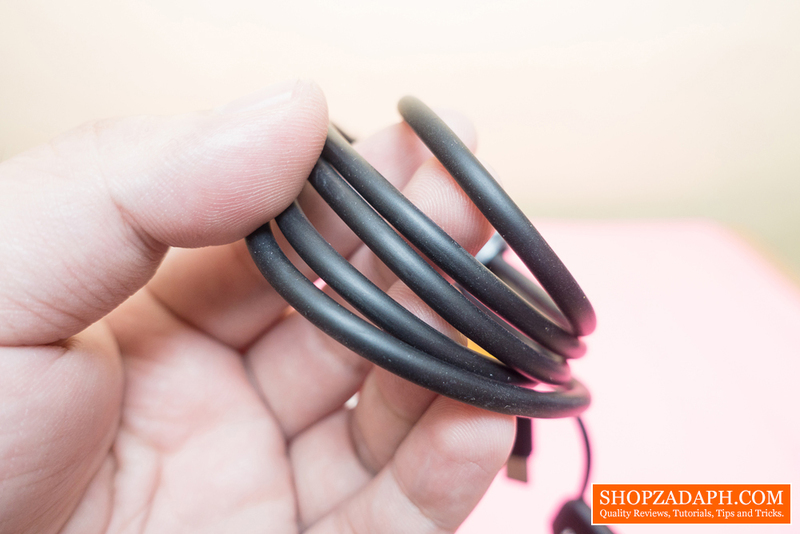 It looks like any standard cable out there, albeit, thicker. What's good about it is at least It does have a very nice velcro strap which is a nice bonus. As I've mentioned the cables are thick which is always a good sign especially if you factor in the actual size of the data and current cables inside. 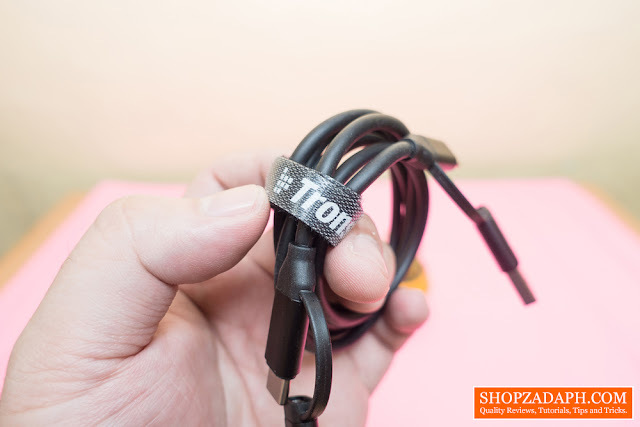 What separates Tronsmart cables from a regular cable is that Tronsmart often uses wider cables inside and in this case, it has a 22AWG power line and a 28AWG data line. The lower the number the wider the cable which means larger throughput for data and current. 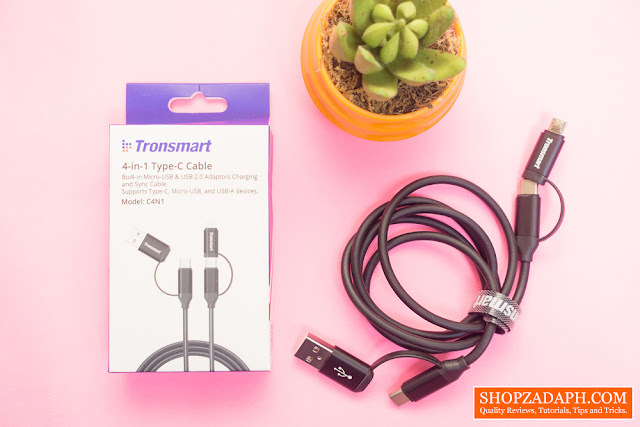 Like most of the Tronsmart cables such as the Tronsmart LTA Lightning Cable, the Tronsmart C4N1 has dual material used to protect the heads. One is a little bit softer plastic material that protects the lower part of the head for bending and a very hard plastic material for the actual head that protects the main connectors. 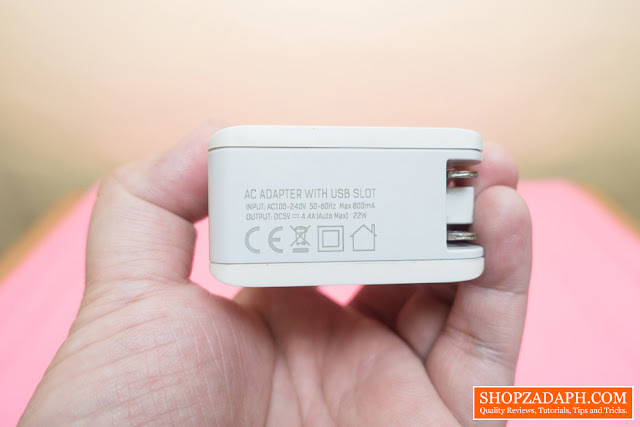 The micro USB and USB Type A adapter is connected by a flexible plastic, It feels durable enough but I would still very careful with these. 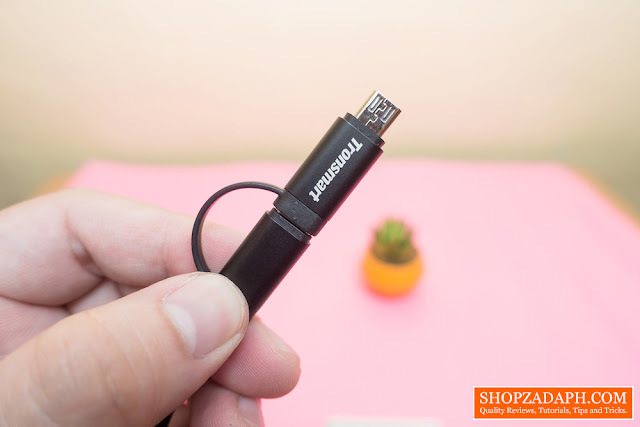 The Tronsmart C4N1 with the help of the adapters is compatible with most USB Type A to micro USB devices as well as USB Type A to USB Type C devices. 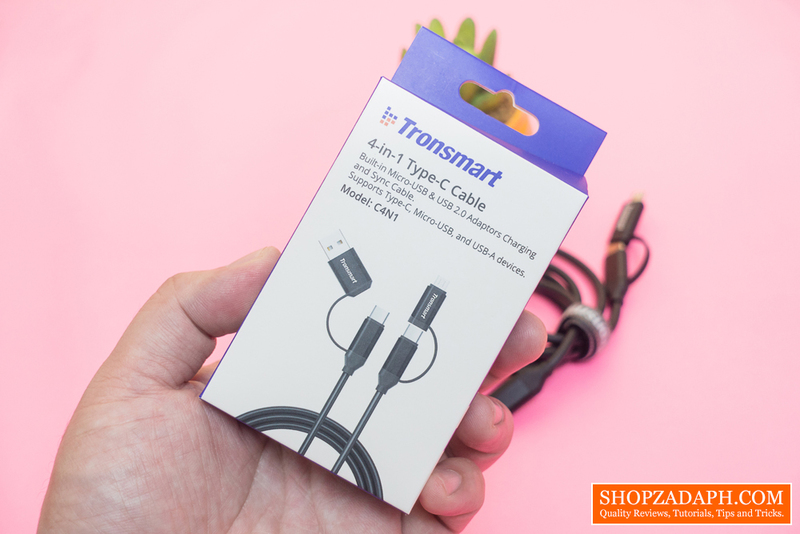 And of course, USB Type C to USB Type C.
When it comes to performance, The Tronsmart C4N1 as expected, performed decently. 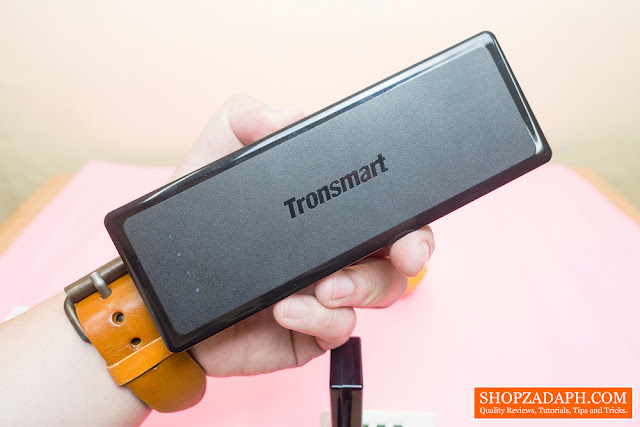 And then for the test subject, I charged the Tronsmart PBT12 via its USB Type C input port that can receive up to 3A. Using a regular cable I only got a maximum current of 1.4A. Using the Tronsmart C4N1, on the other hand, gave me a maximum current of 2.02A which is way better. As I've mentioned in the intro of this article, if you have a bunch of micro USB and USB Type C devices and you want to save space on your day to day carry, then this might be a good option for you. 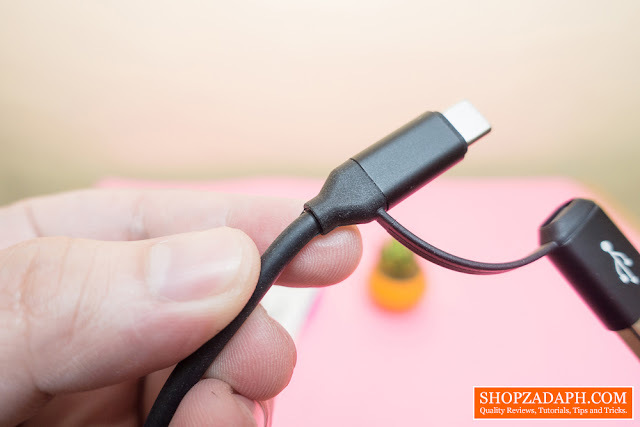 In addition, If you're not a fan of bulky, stiff braided cable that we usually see from premium charging cables, then this is also a very good alternative that you might want to consider. 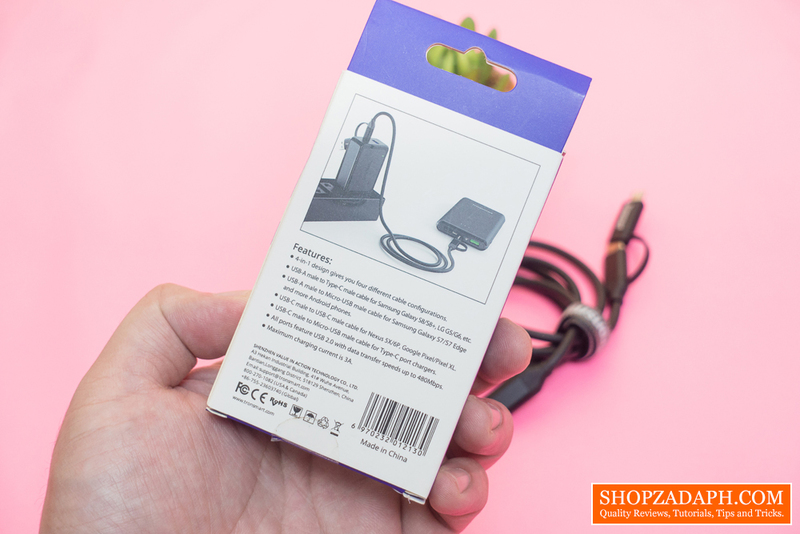 For around 300 Pesos, you're going to get a fairly durable charging cable that is also capable of fast charging, which I think is a pretty good deal considering you'll also get a couple of built-in adapters.